The barbecue grill is an icon of summer, but a barbecue can be way more than a backyard get-together featuring burgers and hot dogs. Grilling gives vegetables and meats and even desserts and fruits a delicious char and wonderful smoky flavor. Not even your stovetop grill pan can give you the same flavors as the outdoor versions, so branch out and find some new grilling recipes to take advantage of outdoor cooking. What type of grill is better, charcoal or gas? Well that depends on what you want to do. Gas grills give you more temperature control with accuracy and quick adjustments, and features like warming racks can be employed. My preference is classic charcoal for the pronounced smokiness that can’t be duplicated, especially with the addition of wood chips like mesquite, hickory, apple, etc. 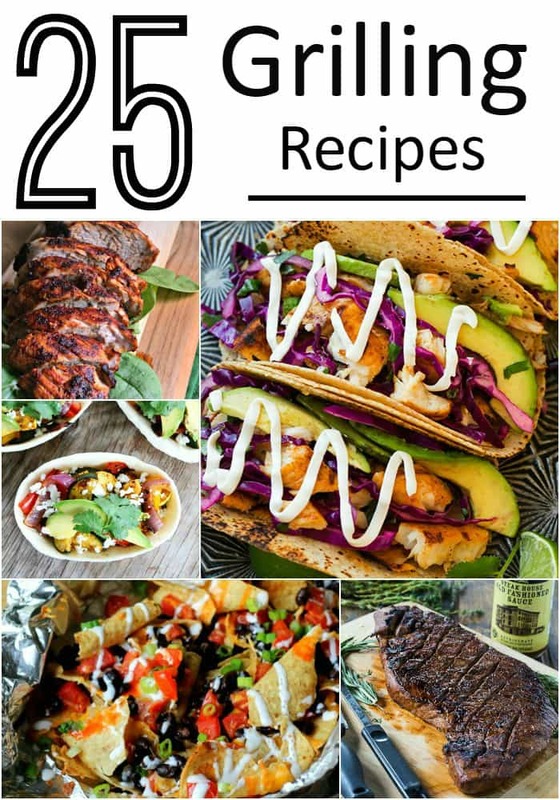 Whatever your choice, check out these 25 awesome recipes for the grill and enjoy a delicious meal.